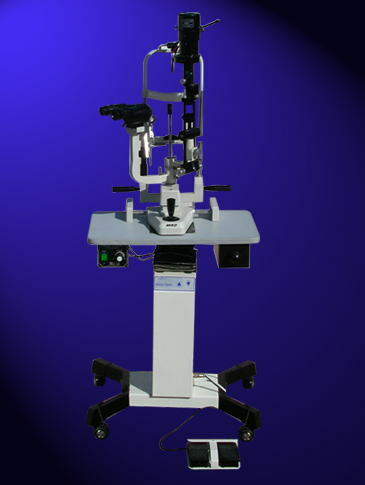 This instrument consists a microscope with a light attached that allows the doctor to examine eyes under high magnification. It is primarily used to view the anterior structures of the eye such as the cornea, iris, and lens. However, with special lenses, it is possible to examine the vitreous and the back of the eye as well.